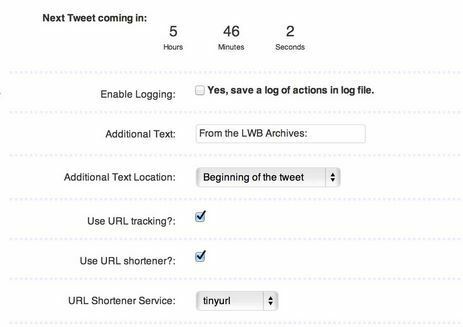 Evergreen Post Tweeter: lets you schedule and tweet out links to older posts. 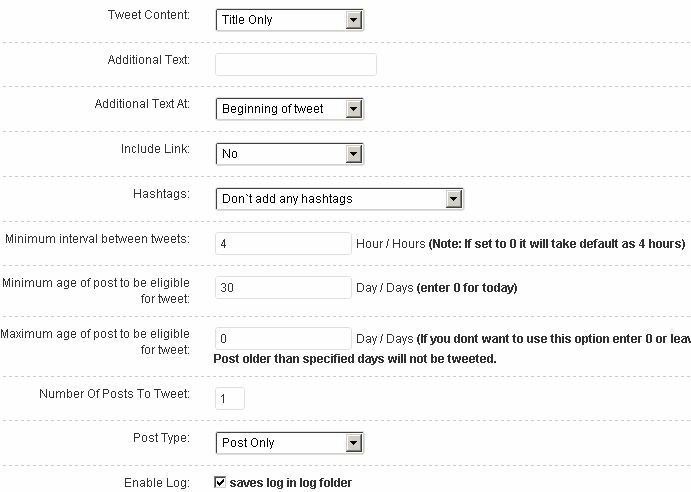 You can filter posts to be tweeted by tag or category. A selection of URL shorteners are available for you to choose. Tweet Old Post: tweets your old posts to get your site more traffic. You can choose the time between tweets and the number of tweets. I don’t suggest using these plugins if you don’t update your old posts often. It is pointless to send people to an article that is a few months old and already outdated. There is no question these plugins can bring your site more traffic though.